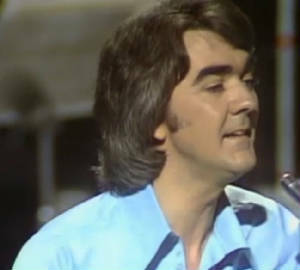 The Johnny McEvoy Story from his first hit in 1966 with Murshin Durkin to today. Within weeks of Murshin Durkin being released it went to No.1 in the charts bringing fame and fortune to Johnny McEvoy. [Johnny] My life changed over night, I was floating on air, I was riding high. 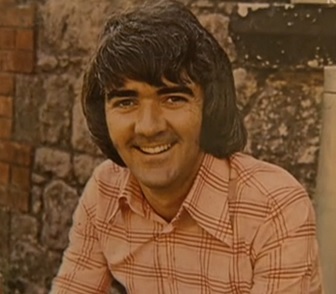 Hit followed hit and Johnny became a regular fixture in the Irish charts, with songs like Those Brown Eyes, for the next 10 years. Johnny was an icon, as big as The Beatles, the girls loved him. He was the hero we were all waiting for at that time. But being in the lime light was not all Johnny McEvoy thought it to be. Johnny] I did not know how to handle this, instead of me enjoying this, it became a burden. Johnny's father didn't live in the house for the most part as he was off working in Dublin. The first 6 years of Johnny's life he never knew his father who worked as a bus driver. Sometimes his father would drive the Birr to Banagher bus where he would bring the bus home with him. He'd park the bus outside the house and go inside for a cup of tea, it could be weeks before Johnny's father would return. 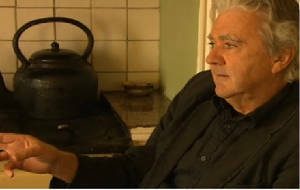 The McEvoy family moved to Dublin when Johnny was 6 years old, but Johnny would always return to Banagher on summer holidays and stay with his relations. He would stay with his uncle Dan for eight weeks of the summer, Johnny says these were the happiest days of his life. The highlight of those long summer months were the concerts Johnny and his friends would put on in a barn at the back of the house. Someone would play the mouth organ and Johnny would sing. All the songs were from Ireland's Own. Songs like The Rising Of The Moon and I Love To Go Wandering, The Dawning Of The Day was played on the tin whistle. The singing would go on all evening and could be heard 3 miles away. The happiness Johnny felt on stage in the old barn stayed with him long after he left school and while still in his teens he started singing in local pubs. He had found work in an advertising company and found that it wasn't for him. Johnny soon left his job. He told his mother in the kitchen the same day that he had left work and wanted to be a singer. His mother said, Ah Sure I'll Always Stand By You, but don't tell your father. 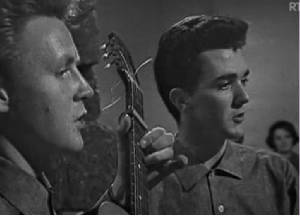 Johnny and his friend Mick Crotty got together and formed The Ramblers Two. It wasn't long before they were getting some high profile booking. [Johnny] One thing we had was ''Neck'' , we had great courage and belief in ourselves. We played with The Rolling Stones in The Adelpha Cinema. It was the most frighting experience of my professional life. The place was packed with people all screaming for Mick Jagger, what I didn't realise then that within two years they would be all screaming for me. Johnny decided to start out as a solo singer, the 60's was a time of great freedom. People were listing, really listing to the songs. Behind the public performance Johnny was quiet a shy person and within months of going solo Johnny went from folk singer to a house hold name in Ireland. 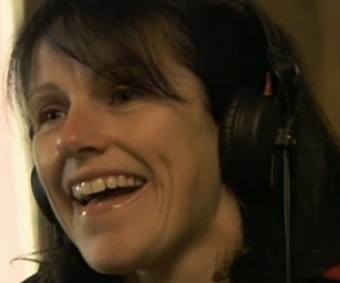 It was a song that his mother heard him singing in his bedroom that became a No. 1 hit, he was only 20 years old when he released Murshin Durkin. Suddenly he went from 50 people a night watching him to 1500 a night. 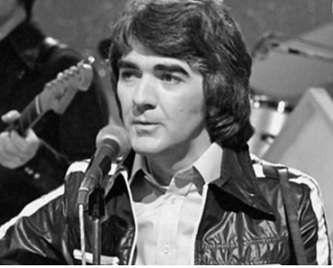 One night Johnny was a simple ballad singer like many more who played the pubs and clubs around Dublin and the next night he was a pop star. There were girls tearing at his clothes trying to get to him, it was so loud that nobody could even hear him singing. Johnny was now famous getting tons of fan mail, the phone never stopped ringing. He couldn't walk down the street because he was being chased around the streets by fans. The ''B Side'' of Murshin Durkin which was Those Brown Eyes went to No. 1 in the charts selling 50,000 copies. 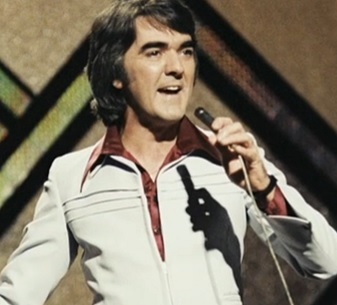 Johnny McEvoy was selling more records in Ireland that The Beatles or The Rolling Stones. It was at this time Johnny met the women who would become his wife, she was working as a Hair Dresser in Harcourt Street Dublin. [Johnny] Boston Burglar had just went to No. 1 in the charts, I walked in and just took a fancy to her. At first she wouldn't go out with him but eventually did. They soon got married and have been together for over 40 years. There was little time for a honeymoon with Johnny playing concerts almost every night of the week. But he was doing what he loved most, singing the songs he believed in. Johnny would always give a bit of a history to his songs before singing them on stage. He's give the background info. for every song just like most of the bards and balladeers. This would add value to his songs. Johnny has always regarded himself more of a story teller than a singer. 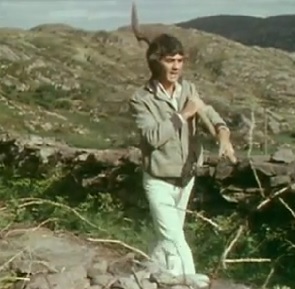 Ireland's troubled history held a deep fascination for Johnny McEvoy. Songs of emigration, famine and rebellion were at the heart of his music. His great, great, great grand father was born around the time of the famine. That's only three generations back. Johnny says-I don't think we should forget the famine, but we should not dwell on it either, I survived the famine, a million did not, 2 million had to go away, we are still here so we are the survivors. The emotional energy behind Johnny's songs of heartache, love and struggle captured something of the turmoil of the man himself. Unknown to his fans there was a man struggling to come to terms with the pressures of his own fame. At a certain stage it was no longer the craic, the fun, the freedom. The depression then started to kick in. He started to drink - The depression hit him a wallop. One night he was staying with a friend in a flat in London. His friend made up a bed on the floor, Johnny remembers laying on the bed looking up, he started to shake, he felt all these things crawling all over him and became absolutely terrified , he thought he was hallucinating and thought ''I'm Cracking Up Here''. When you go to the debts of depression your so weak, you can't get out of bed, you don't shave, don't talk, just don't function, but for most of the time you cry. Johnny tried to hide the utter despair from people. Johnny was in a hotel one night having a drink with friends, suddenly his head fell down and smacked off the table, driving home that night he stopped the car and had a good think, he cried for half an hour saying to himself, ''This Has To Stop'' , he was in complete despair. He hasn't took a drink since that night, that was over 30 years ago. To this day he still suffers with depression, but has learned to live with it. Back in the 70's Johnny formed a band, it was the thing to do at the tome to fit in. But it was a move he would become to regret. There were times Johnny felt he wished he was back in the Abbey Tavern, just sitting on a high stool and just singing what I really loved to sing. The band stopped him in his tracks, it stopped him doing what he done naturally, being in a band wasn't really for him. It was the music promoters and ballroom managers who controlled the music scene. The only place anybody could really work was in the dance halls and thats where he went wrong. As Johnny Said, ''It Was Madness, Just Madness'' . He spent years on the road away from his family. He was never there for week ends, Easter, St. Patrick's Day, Birthday's, He was gone all the time-Never seen his children or wife. 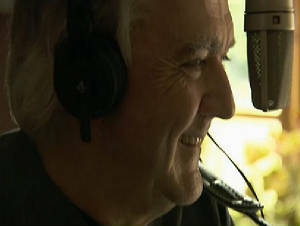 These days Johnny has gone back to writing his own songs, the songs are more of a personal nature. Shay Healy recons Johnny is singing better now that when he was a ''Pin Up'' , it's just Johnny and his music, he's apProAching what Shay calls the Leonard Cohen stage of his career where he can speak to people his own age and express the emotions of someone his own age, Shay goes on to say, he's becoming great interpreter and writer of his own songs. [Johnny] I was writing some great songs during the bleak times, the songs were great but they didn't suit where I was working. But now I feel I now have all that freedom that I lost over the years. Some people just want to play golf, I have no intention of playing golf, I don't even like golf, I want to write songs. Johnny continues to preform in a select few venues at home and abroad. For those who love what he brought to his performances, his shows continue to strike a chord. He has never lost his keen interest in folk music. 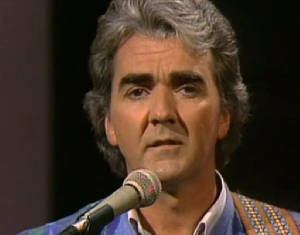 The name Johnny McEvoy will be enshrined in folk music long after we are all gone. Who is Johnny McEvoy ? public like, now I'm capitalising on it. Carrickfergus in much the same style. songs before I started to sing them. someone says ''He Robbed Me Song On Me''. fairly strong against traditional singers. general public is all wrong. dropped most of it, I still like Dylan. dancehalls, do you like singing in them ? the whole thing is so unprofessional. something like that again ? never want to do Mursheen Durkin again.